Add industrial design touches to your décor with this set of two traffic signal signs. Both signs are 12” squares and made from dense plastic. 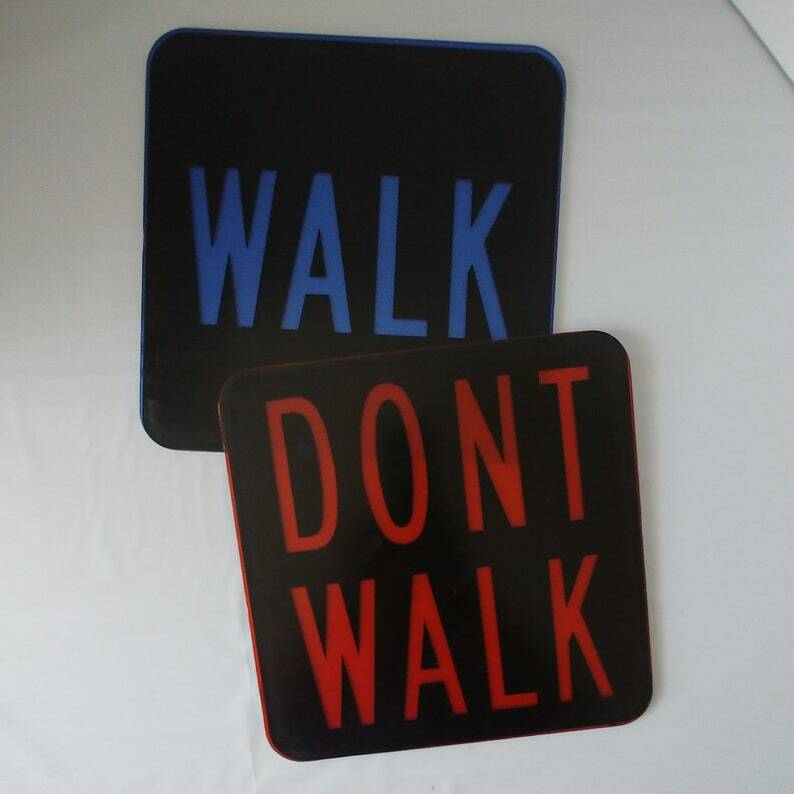 The translucent signs feature 4.5 inches red and blue letters spelling out WALK and DON’T WALK. The commercial street signs are .25 inches thick and lightweight for easy hanging with Command strips. CONDITION: These signs are in excellent condition with no cracks or breaks.